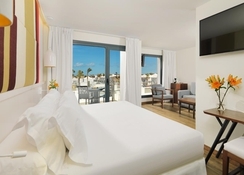 Located in Corralejo, just two minutes from a fine sandy beach, the H10 Ocean Dreams is designed for adult holidays, with special attention to relaxation, body care and gastronomy. 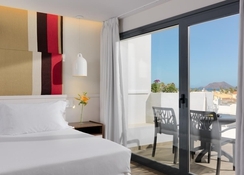 Spacious double rooms and junior suites, with all the latest and luxury amenities along with a terrace or balcony overlooking the pool or garden serve as the accommodation here. They guestrooms are equipped with Wi-Fi, television with international channels and queen or king size beds. 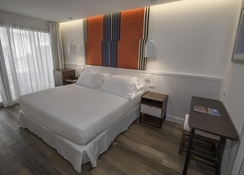 The hotel has a beautiful temperature controlled saltwater pool, which is equipped with water jets and counter-current swimming effect, among other details. Surrounded by Balinese beds and solarium area, you can access the bar for a drink at the water's edge. 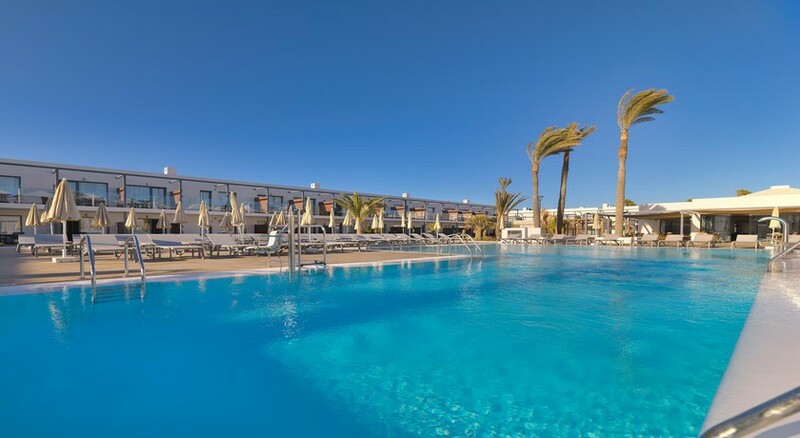 H10 Ocean Dreams is located in a quiet area of ​​Fuerteventura, a few meters from the Grandes Playas del Corralejo and the Natural Park of Las Dunas. Just a few minutes’ walk will land you at a large shopping centre. Guests of the H10 Ocean Dreams can explore the surroundings by bike or car to discover the stunning landscapes of the island. The Fuerteventura Airport is about 40km from the hotel. 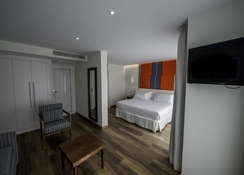 The 94 guestrooms have large spaces decorated tastefully with simple yet modern furniture. They come with a queen size or king size beds or two singles. The rooms are equipped with a safe, minibar, flat screen TV and international channels and internet access via Wi-Fi. The bathroom is complete and includes a hairdryer, rain shower and Textures Collection personal hygiene products. From the furnished terrace of any room, you have pleasant views of the garden or the pool. The larger Junior Suites have a seating area with a sofa bed, a bathrobe and slippers in the bathroom and a Nespresso coffee machine. All rooms have an individual climate control. The Citrus restaurant prepares tasty market cuisine recipes, while the Tragaluz Bar serves drinks until late at night, accompanied by live music. H10 Ocean Dreams’ impressive pool, filled with seawater, is heated in winter and features water jets, hydro massage beds and a counter-current swimming area for exercise. The pool is surrounded by a large solarium where comfortable Balinese beds have been laid out to relax while having a snack served at the pool bar. 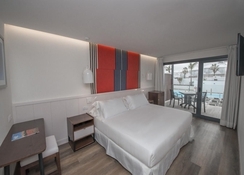 The complex has a Thalasso centre, where you can relax in the sauna, Jacuzzi or Turkish bath, or where you can treat yourself or work out in the gym. This establishment, specialised in tourism for adults, has a wide program of activities that includes classes of yoga, Pilates, aquagym and cooking classes. There are also excursions to the surroundings. We stayed at H10 resort as part of a friends surprise birthday celebrations. It was my wife & I first adult only resort stay & it was a fabulous experience. We opted for the half board option & having the flexibility of switching lunches for evening meals was great & the food was delicious. The hotel is conveniently situated to the main strip of bars & restaurants & the beach is approximately a 10 minute walk. Would highly recommend this resort.